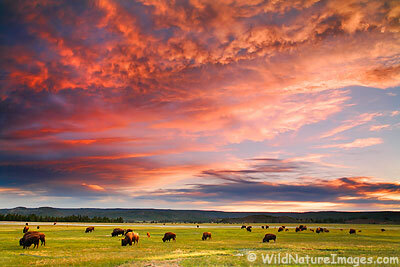 Buffalo at sunset, Midway Geyser Basin, Yellowstone National Park, Wyoming. 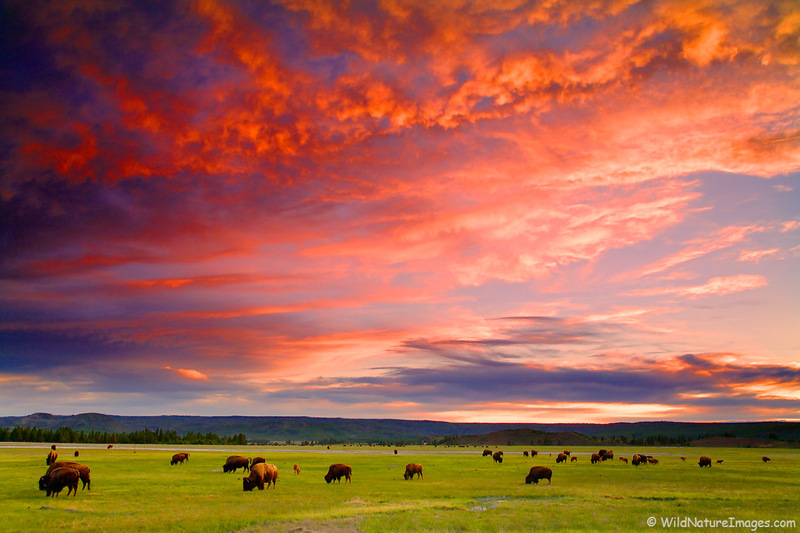 Happy 100th birthday to the National Park Service! 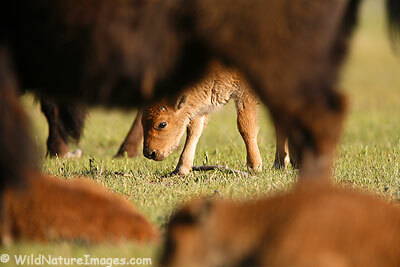 Janine has just finish updating our page of Yellowstone National Park Photos from our spring trip. 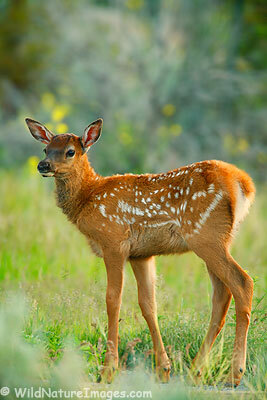 If you were following the blog during that time, you will probably recognize many of the photos. Back to our spring photos – this was five separate photos of the Upper Geyser Basin, the Old Faithful Geyser and Inn and the other Park Service hotels in this popular part of Yellowstone National Park, Wyoming. 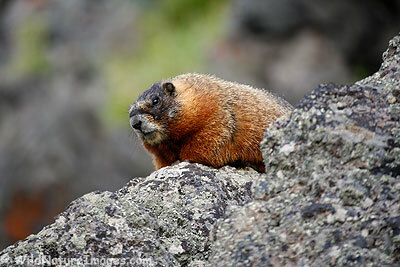 The Yellow-Bellied Marmots around here are similar looking, but have different coloring from the Hoary Marmot we have in Alaska. 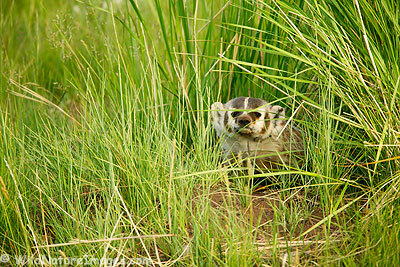 This was exciting – I had never seen a badger in my life. I found this den in the hills behind Mammoth in Yellowstone National Park. 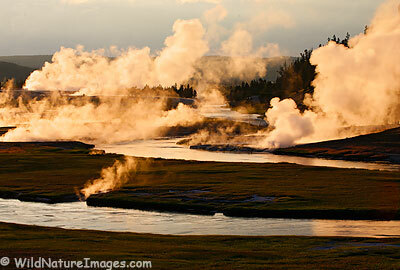 Read more about our travels to Yellowstone National Park on our photo blog.